Italy, Pisa Moon, 1989 - On a return trip from Africa in 1989, I drove from Sicily to Holland. On the way, I stopped by Pisa, Italy for the first time. I rushed to get there before nightfall, but was unsuccessful. 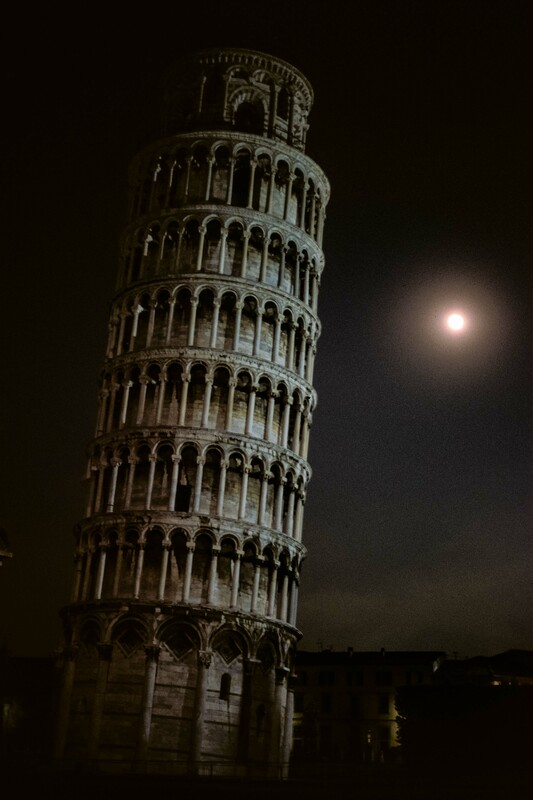 Nevertheless, a moon rose, presenting me with an opportunity for an unusual photograph of the Leaning Tower of Pisa.